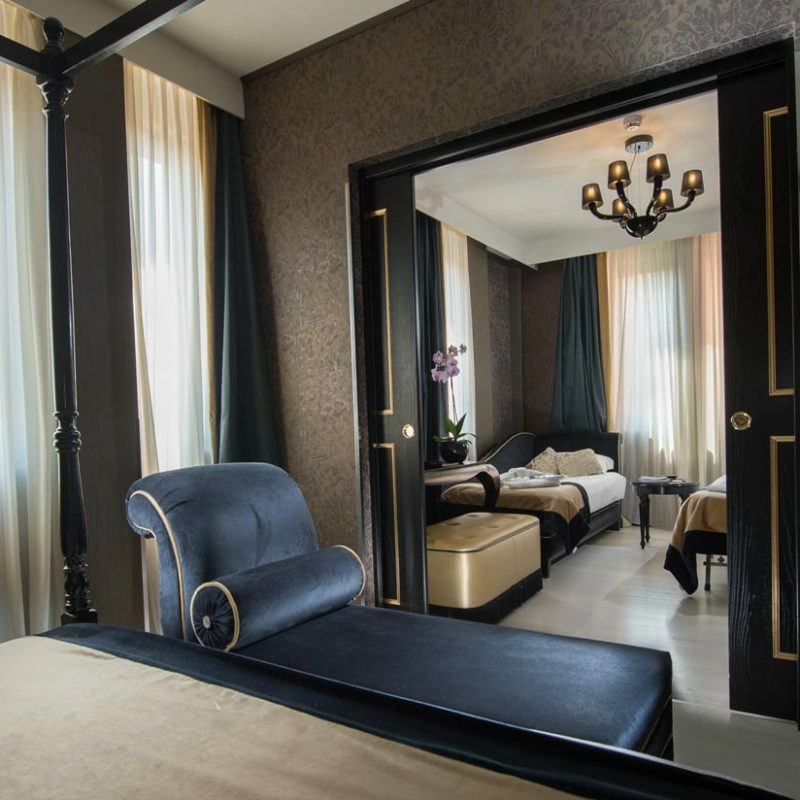 Large families will relish the balance of together-time and privacy, with this magnificent surface of 60 mq exquisitely appointed in contemporary Venetian decoration in black-gold, aubergine or white-silver tones. 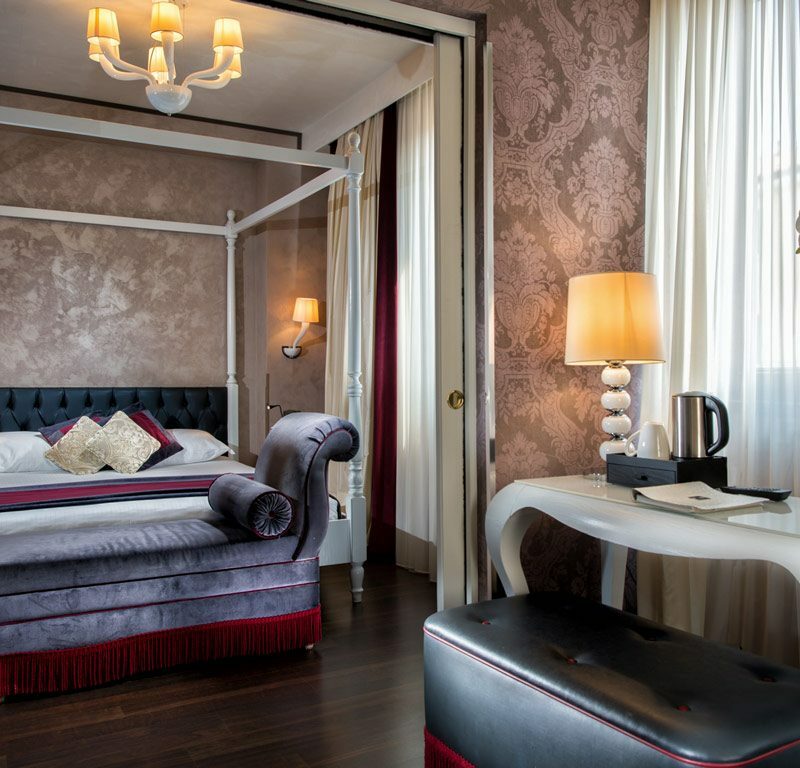 Nestled in a private corner of the hotel, two spacious bedrooms each with their own bathroom, a small salon, which easily doubles as a private quarter, ensure a level of elegance and privacy unlike any other. 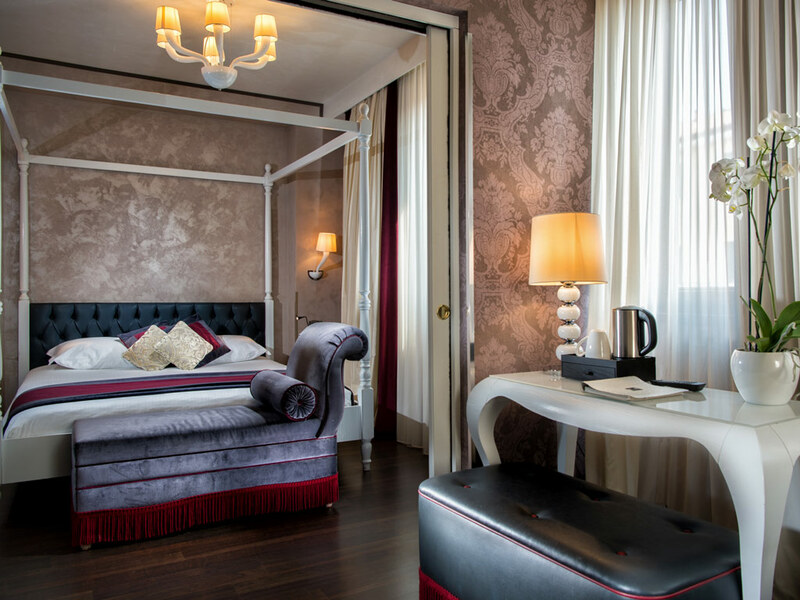 Graced with dedicated views of our Secret Garden and the Venetian neighborhood The Corner Suite comfortably performs 2 four poster double beds and 2 chaises longues that transform into a single bed each. Showcasing an ideal family retreat where You and those close to you will find the time and space to be together, this splendent rooms are complimented by a writing table and a smaller table in the main room and an armchair, a writing table and a bench on the second room. 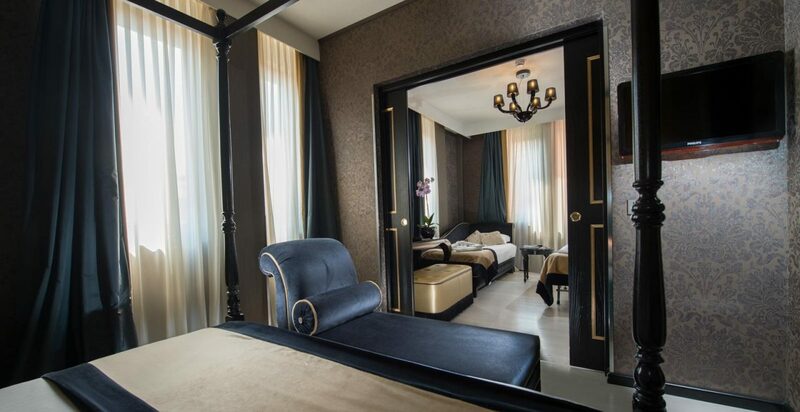 All of them brighten up with Murano glass lamps and 2 open closets that give a modern twist. 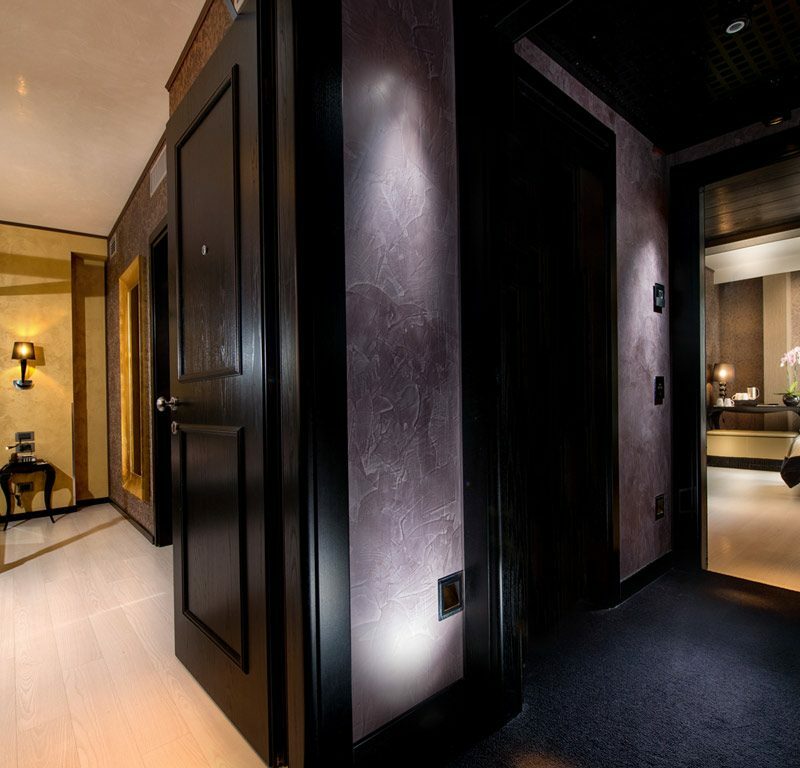 The bathrooms, in Carrara Marble offer a walk-in shower or bath tub, both in Corian, Chromotherapy lights and a vanity with a glittery sink in gold leaf in one bathroom, and two sinks in gold leaf, an independent chromotherapy walk-in shower and tub in Corian in the second bathroom. The Corner Suite is the ideal choice for a family vacation or getaway with friends.CAn accommodate up to 6 Guests.